The South of Australia attracts all types of travellers. The scenery, wildlife, history, culture and diverse landscapes are what make it so unique. It’s been said the folk in the south are the friendliest too! 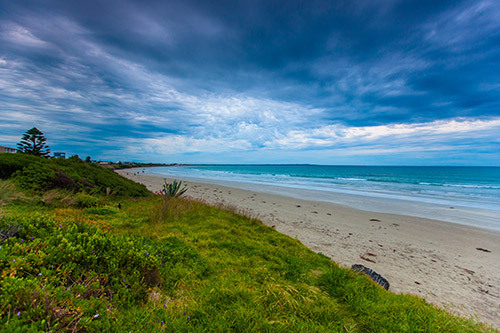 One particular enticing section belongs to the Adelaide Port Fairy trip. This trip can be done in a one day shoot through, eyes on the road, “are we theeeere yeeeet” style of roadie. I recommend an overnight trip. You get to take in some of South Australia’s only world heritage area, get up and close with wildlife many people never get to see and give the kids something else to think about apart from “I spy”. A quick breakdown Adelaide – Bordertown – Naracoorte Caves (O/N stay here) – Mt Gambier – Portland – Port Fairy. Pack your car, some snacks, games and smiles. Leaving early is suggested, first stop Bordertown. You will want to exit Adelaide via Riddoch HWY/National HWY A8. Keep your eyes open for emus, dingoes, wallabies and soaring eagles! Bordertown is 271km, 2hr 55min from Adelaide. It’s not the most direct route but it’s more interesting. It’s also a perfect amount of time of driving to arrive for lunch! Grab a quick bite from the Morning loaf bakery. Just be careful – the people who work there are so friendly and chit chatty you may lose a few hours out of your day. Quick stop and the kids might complain but you can keep them assured with Bordertown’s wildlife centre, lots of wonderful animals but the most impressive — albino grey kangaroos. Few photos and a pat and you’ll be heading south to Naracoorte caves via Naracoorte Rd. The caves are world heritage and approx. 800,000 yrs old! If you have some extra time up your sleeve, check out Claytons farm, a historic site built from all traditional materials. It’s on Naracoorte Rd few km’s out of Bordertown. Naracoorte is 92.7km, about 1.1hr, dependent on loo stops, wildlife spotting and the amount of chatter coming from the back seat. It’s a scenic drive through the Western flat, true farmers country. So long as everyone has behaved (partners included) you may have enough time to have a look in Naracoorte caves or at least the fossil museum. The bunkhouse here is very affordable for the night, $75 for 2 adults and 4 children. There are BBQ facilities there if you feel like a few snags for dinner or go into town. Pizza, pub food, it’s all pretty good!! All up you’ll have about 3hrs left of driving to get to Port Fairy, so take a few hours in the morning to experience the caves. If you are feeling adventurous there’s caving tours. Otherwise there is a choice of guided or self-guided walks. Hit the road for 108km/1hr 17min to Mt Gambier blue lake, to take in the breathtaking vibrant blues in the centre of an old volcanic crater. Then onto Portland. Take a short drive down to Cape Nelson lighthouse. The views are amazing and the right time of year you’ll spot whales sailing past, even a cheeky fur seal! Isabella café is such a great hit! The food, service and location makes it a known favourite to locals and travellers. It’s 75.6km to Port Fairy from here, about 1hr drive. So if you are pushing it best to hit the road but if you can swindle the extra hour or so, head over to Bridgewater coastal camp to admire the seriously cute fur seal colony.